You’ve decided to do something about your weight. All goes well for a short time and then you may experience a plateau and in some cases a spiraling out of control and before you know it, you are back to where you started from.. perhaps even heavier. Whilst a part of you wants to achieve success, there may be another part, an inner saboteur that is lurking within, ready to derail you. Sometimes the saboteur is someone near and dear to you. Family members, whilst often well-meaning, will sabotage your plans because of their own control issues. A partner may feel threatened by your new svelte and healthy appearance, subconsciously thinking that you will leave the relationship and sabotage your efforts by buying you chocolates or cakes. Are you drinking enough fluid? Water is preferable, but there are other non-calorific drinks such as herbal teas that are suitable. If you are dehydrated, you are sabotaging your weight loss by slowing the fat burning process down. Are you eating enough? Not eating enough puts the body into survival mode. After spending the night sleeping your blood sugar will have dropped, so skipping breakfast is another way to sabotage your weight loss. Make breakfast a priority and remember the saying “Eat breakfast like a King, lunch like a prince and dinner like a pauper.” Having a good breakfast will help with your concentration and give you more energy to get through the day. Are you eating too much? Sugars and refined carbohydrates can be sneaky little devils. Substituting with Aspartame or other chemical sweeteners is not the answer either. Watch your alcohol intake as it converts to a sugar when being processed by the liver. It is likely you are overestimating how much you are eating. Even though you are choosing healthy foods on your weight loss journey, the portion size matters. You have bad habits around food. Sitting in front of the TV to eat is a common one. You will either be eating too quickly, or eating unconsciously. Set the table, eat mindfully, putting down your knife and fork between bites and really savour the food…the flavour and textures of your meal. Make it as much a feast for the eyes as it is about an intake of calories. Grazing on food, having “nibbles” readily available is another bad habit. Clear the pantry of those snacks, biscuits and other easy to eat temptations. Chronic stress can also contribute to weight gain. Cortisol, released as part of the stress response, can cause you to have an increased appetite and to crave carbohydrates. A quick way to reduce stress is with exercise to counter the effects of the stress hormones and meditation to still the mind. To help you still the mind, I’m sharing my 20 minute Easy Weight Loss video which you can use as a meditation or a screen saver. At a networking meeting that I co-host, I had a conversation with a couple of Reiki Masters…. 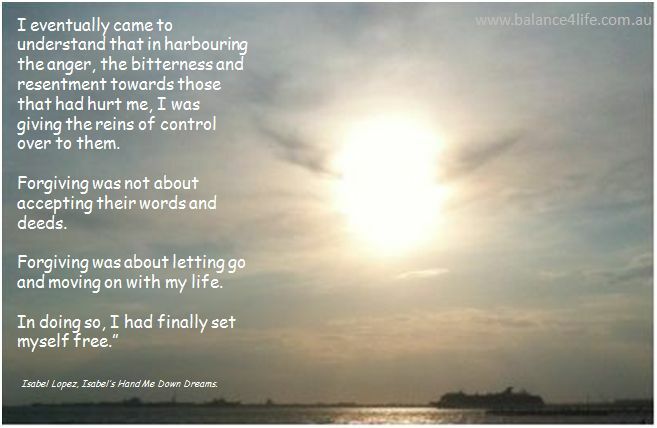 I haven’t had a Reiki for myself for some time and have kept myself busy in various ways…. working on my business, the retreat…family…..day to day stuff….. The question was asked…”what are you doing for YOU?” as I coughed, feeling it deep within my chest…. 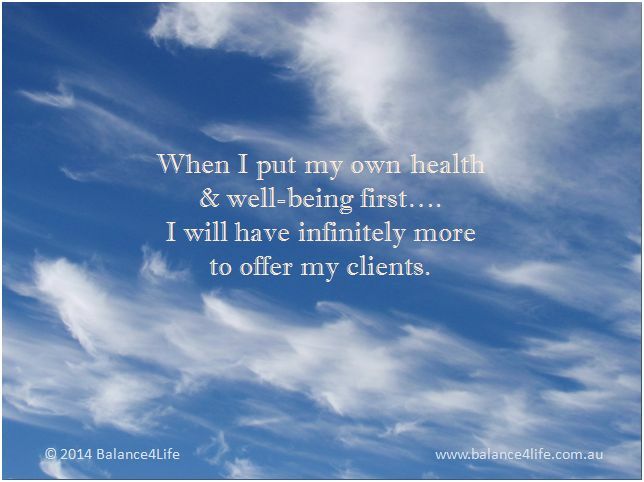 “what are you telling YOUR clients and not doing for yourself?”…..
Time to ‘fess up, so as to speak. Isn’t that what the metaphysics is all about? Oh Dear!! I felt all teary! Cough…Throat Chakra? One of the Reiki Masters chuckled… that’s her speciality… pushing buttons…..
Yes… I needed that…. someone to ‘call me’ on my authenticity! isn’t it amusing how the Universe works? It sends you clients who tell you “stuff” that you need to work on for yourself. Be like the metaphorical ostrich and stick your head in the sand and ignore what is going on – pretend nothing is wrong and carry on…. I shared a little of what I was feeling at the meeting, still holding back on other issues that I thought I would work some more on changing my mindset. … so with a few minutes left of a busy day, I have resolved to take up the offer of a Reiki and deal with some personal issues – so that I can be more present for the clients that have chosen to book in with me….. Recently I was reminded of an old folk tale coming from the Cherokee tradition. When we feed either wolf, or our mindset, we also strengthen the neural networks within us. So if we are in a negative or fixed mindset most of the time, then that’s the one that gets fed. Likewise if it’s a growth or positive mindset. How can we tell which is which? On the other hand, a person with a growth mindset believes that through determination and hard work, success can and will be achievable. They seek opportunities to develop their creative, artistic, sporting skills and will create a “to do” list to address their flaws. A person with this mindset will see setbacks as challenges to overcome. So feed the mindset that you want. Have a vision and set some achievable goals. Moving out as if in a centrifuge, the next ring walked is the outermost circle. This Chakra is where we identify how we present to the world. The colour associated with this chakra is red; vibrant and masculine; energetic and in its opposite – slothful. This is about the physical nature of the walk…the longest ring where the eye which still needs to focus on the path, cannot help but be drawn to the space at the centre. The Base Chakra is about our physical, earthly functions, our base instinct for survival and tribal in nature. Here we are challenged to throw off the veils of illusion and to release energetic blocks in the body, and one therapy that works well with balancing this earth energy (as well as all the other elements) is Polarity Therapy. An Earth element balance looks at the relationship between the neck, colon and knees, all of which can get out of balance with the stress of meeting our basic survival needs. Fear is the undercurrent to this imbalance and the positive polarity is courage. Fear contracts us, both in the physical and emotional. Too much and we become frozen or immobilized, our thoughts and emotions become narrow and rigid. Little wonder then, that this is the longest path….allowing us to become grounded in the physical reality of placing each foot in front of the other. It is important to move in a balanced way…not to “plod”, lest our thinking become limited, nor to step so lightly that our energies seem spaced out. There is a fine line to walk here. We depend on the earth for so many things as well as the “grounding” energies…. for food, buildings and more. …. and then we step into the next ring and discover the energy and qualities of the next chakra……. To find out more about the seven session Labyrinth of Life program and to experience the therapies call or use the web enquiry to find out more…..
After entering the labyrinth and accepting that one is neither starting the journey from the outside in or in the actual centre the journey continues by moving outwards to the second ring. Th is corresponds to the second or Sacral Chakra and is orange in colour. Here we start to feel the responses to the feelings of those around you and translate the spiritual messages behind the feelings. The orange is energising, but unlike the red of the Base Chakra, is more feminine in nature. Orange stimulates our creative talents and whilst we are all familiar with its positive attribute of joy, the negative attributes are pride and over ambition. This is the path of our psyche, where we want to share our passions, dreams and desires. With the combination of emotions and feminine energy it is hardly surprising that this ring and chakra are related to the moon. Emotions experienced on this ring may be associated with either an abundance or lack of joy with relationships. Reiki is the ideal therapy to use with this chakra, it is non religious and free from dogma and helps gently resolve unconscious emotions. As you walk this part of the path, become aware of the location of the Sacral Chakra, just below the navel. Get a sense of whether it feels light or heavy and take note of any emotions that may come up. If you feel confronted by them, slow down, breathe…. trust and release……tears mean that you have connected with the water element…….